If you return home to a room full of water after toilet line has broken or a pipe burst, don’t panic or get upset. Immediately call Crystal Bright Cleaning company! We are your local emergency water restoration experts you can count on. 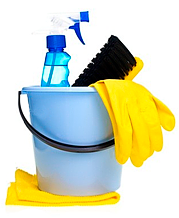 We have all the necessary equipment to clean and restore your house. You can expect rapid drying which will prevent the need for demolition, mold growth and bacterial development. You can rely on Crystal Bright Cleaning Service to professionally clean and properly protect your premises. Repairing water damage is a stressful event, but our professional water restoration team will make the water clean up easy for you. We will provide you with water damage recovery from all types of water damage situations. Water damage losses can occur to homes of all sizes. Most water damage situations require professional help. Be sure your problem will be handled by a certified, highly experienced technicians. You will be able to get back in your home quickly and safely. Choosing the right company is critical to protect your home and your personal belongings. Call Crystal Bright Cleaning Service and be sure your home will be in safe hands. We at Crystal Bright Cleaning Service are available anytime 365 days a year: 24/7 to respond to emergency water removal situations. Our team of certified professionals with years of experience and tools will always be at hand in your time of need. We can tackle even the toughest jobs.